Be the first to hear about their new releases and deals. Download the Booksprout app and search for P.M. Hernandez today! P.M. Hernandez is a young adult paranormal, fantasy, and science fiction author. She lives in Virginia but travels the globe, finding inspiration in the colorful, mysterious, and sometimes spooky corners of it. She wears a lot of black, not because she's cool but because she's fashion-challenged. 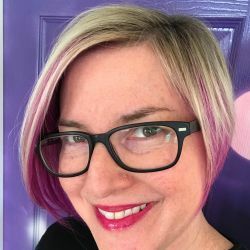 A member of both the Virginia Writers Club and SCBWI, her work includes the Whitewood Journals, the Earthborn Series, and the Carnivale Mystique. More information, social media and buy links, and contact information at www.pmhernandez.com.